Doubtless, you will have heard the maxim: “fail to plan, plan to fail!” As we look back on 40-years of incredible input and leadership across virtually all areas of pre-hospital care we need to ensure that we are well-placed to take on the next 40! For this reason, the Executive Council is embarking on a strategic review of the Association and it’s activities, in particular, the support we provide to our members and affiliated Schemes. This will involve considerable work, some of it already undertaken through previous work that informs our thinking and onward planning. In mid-May Council members will join together for a strategic review and planning day to set in place the outline of a 5-year strategy. I am grateful for those members who currently serve on the Executive Council and contribute their time and efforts. We will need new blood and at our October AGM and I look forward to welcoming new faces from amongst our membership onto the Council. I’d like to invite all full members to consider whether they would like to become involved in the management and governance of BASICS. If you are interested, why not contact the office to arrange a chat with one of our current Council members to learn about the role and to discuss you becoming involved. It’s never too soon to think about these things . . .
Also in October, we host our annual dinner where we present a variety of awards. Do you know someone worthy of an award? These are open to all members and dependent on the circumstances non-members also. All nominations will be considered by our Awards Committee and now is the time to start to think about who you’d like to nominate. Watch out for details of how you do this in forthcoming editions of the monthly newsletter. Have you visited our webpage recently?It has just been updated and whilst work remains in progress it brings a clean and fresher image to the public face of the Association. Do visit and if you spot a typo or broken link do let the office know! 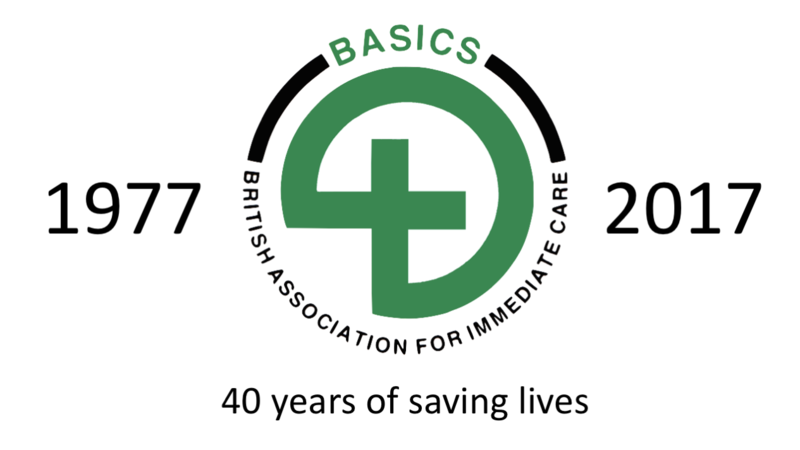 BASICS is an association of like-minded individuals from many different backgrounds involved in a wide variety of pre-hospital activities. There has been a lot of change over the past 40-years and those developments continue. In the last few weeks, the latest addition to the network of Air Ambulances across the UK has started final preparations for coming online in Northern Ireland. Novel and cutting edge interventions are being used in the roadside care of patients and for some, the emphasis of immediate care seems to have shifted away from our traditional membership base and schemes. However, the reality is very different and BASICS is alive, kicking and remains very relevant across the UK. Pre-hospital care is much more than any single group or focus, it brings together the complete family of providers and I am proud that our ranks include first aiders, community responders, firefighters as well as health care professionals including doctors, nurses, ODPs, technicians, ECAs and paramedics. Some of you may be aware of a recent Nursing and Midwifery Council (NMC) decision against a nurse who was sanctioned by it’s Conduct and Competency Committee for not instituting CPR in a patient found dead. From undisputed evidence to the Committee, it was clear that the patient had died some time prior to being found and that there were clear signs of irreversible death. Despite this, the Committee ruled that as a nurse the defendant was not competent to ‘certify death’ and should have provided CPR. This ruling is disadvantageous to our nurse members who are asked to attend sudden deaths where the patient is clearly beyond help. It clearly ignored the current resuscitation guidelines and goes against it’s own code of professional conduct. I have written directly to the Chief Executive and Registrar to express the Association’s concern regarding this ruling and seeking clarification. I am informed that this will be forthcoming soon. Our New Website is Here!!! For the last few months, we have been working hard on building our new website and it was finally launched a few days ago. Hopefully, you should find the site much more user-friendly. There is a dedicated members’ area where you can find lots of useful resources, details of members discounts and how to access the services that BASICS provides. 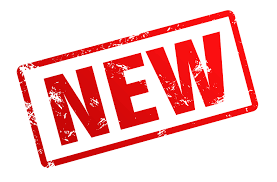 As always, you can also browse the online shop or book on BASICS Education courses and for the first time you can now renew your membership online. In the next few days, members will receive a welcome email with details of how to log in. Please do take a couple of minutes to check your profile and make sure we have your up to date information. Any feedback you may have would also be gratefully received. A three-day course on all aspects of emergency care in the pre-hospital setting including medical, obstetric and paediatrics as well as trauma emergencies and incident management. The course is available to doctors (FY2 and above), registered nurses and registered paramedics. Participants who successfully complete the course are awarded the Pre-Hospital Emergency Care Certificate by the Royal College of Surgeons of Edinburgh. This two-day course is directed at previous participants on the Pre–Hospital Emergency Care courses and the Immediate Care Courses to ensure that skills are maintained and updated to incorporate the latest developments in pre-hospital care. Mainly practical in content the course also offers an opportunity to renew acquaintances and enhance your knowledge in relaxed surroundings. Aimed primarily at Doctors, Nurse, Paramedics and Class I Military medics this new course will help to equip the higher practitioner with the advanced knowledge and skills required to deal with most paediatric emergencies in the immediate care setting. The Paediatric Pre-hospital Emergency Care Course is open to all those who have completed the PhEC or other appropriate pre-hospital care courses. This one day course is geared to develop participant’s knowledge and skills related to paediatric patients, to make them competent, thinking, pre-hospital practitioners with the confidence to deal with childhood emergencies. The course is presented as a mixture of lectures small group practical skill stations, case-basedscenarios, workshops and discussion groups. To view these alerts, please follow the links above.